J.M. Haggar suit separates offer exceptional style, quality and flexibility for you and your wardrobe. Made from our finest fabric with stretch built right into the fibers, this handsome two-button suit jacket features exceptional attention to detail with a notch lapel, flap pockets and a fully-lined, piped interior. 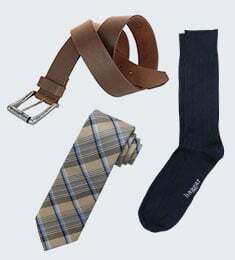 Wear it with or without the available matching dress pants. Big & Tall J.M. Haggar Premium Stretch Suit Jacket is rated 4.1 out of 5 by 14. Rated 5 out of 5 by Shutterbug15 from Nice suit; great fit I just bought the suit recently, but I like it very much. I can always buy the right fit. I like being able to purchase coat and pants in different sizes. Great service, as well. Rated 5 out of 5 by 614chip from Excellent fit for the value I bought the suit on sale for a wedding and was pleasantly surprised for the fit and size of the suit compared to what other stores were charging. Rated 5 out of 5 by nyron from good fit the jacket met all my xpectations.the fit was good quality of the material is top notch. Rated 2 out of 5 by JR1952 from Suit Disappointed. Thought it was a complete suit, because it asked for my waist size and length. But it was just a Jacket. So not happy with purchase. 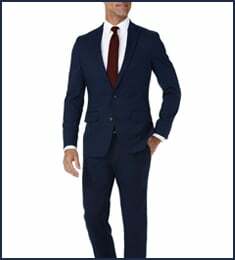 Rated 2 out of 5 by JR1952 from Suit Separates Just bought 3 Suits Separates, which I thought included the Pants with the Jacket. Obviously I was wrong. So why did it ask for your Waist and Length width, if the Pants were not being included. Rated 5 out of 5 by JoeyChicklets from Perfect Fit I purchased this suit and it fits perfectly. 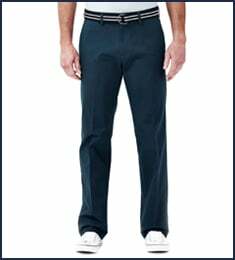 The stretch waistband is added feature for guys between sizes. Worked like a charm. Rated 4 out of 5 by Wdonald from Great suit. 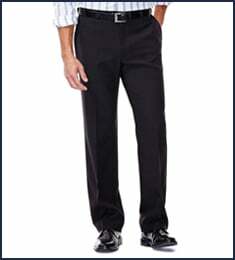 I love the suit but I would go a size smaller on the pants if you want it to fit better.